To hire the main Hall or the Leaze Room please phone 07849644324 or email lsvillagehall@gmail.com. NEED SOMEWHERE TO MEET? LOOK NO FURTHER …..LEONARD STANLEY VILLAGE HALL The Leaze Room is available for hire during the day and the Main Hall is available for hire day and evening - please check our calendar below for availability! The LEAZE ROOM - is ideal for smaller groups to meet in with its comfy chairs and much improved facilities. BOTH rooms have easy access to the toilets including disabled facilities and the kitchen with its shiny, new cooker and enough crockery and cutlery to cater for an army. 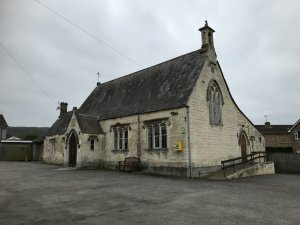 With plenty of parking space, our village hall is great value for money as it really costs very little to hire, especially on weekdays during the daytime. A small one-off fee secures the use of the kitchen, and the two rooms available for hire are each charged by the hour. We encourage regular user groups to appoint one of their members to the hall committee because we think it's really important that the people who use the hall have a say in how it is run. The hall is run by the community for the community and it's a bit like the Post Office campaign – Use it or Lose it ! We don't meet very often and don't bite, so please join us. For details of how to get involved phone Lisa on 01453451921. Exciting news - Village Hall will soon be refurbished with new toilets and windows - then more to follow. Ideas welcome - please let the Trustees of the VHMC know. Copy of the Village Hall Booking form - booking to be agreed by the Booking Secretary. Conditions of Hire for Leonard Stanley Village Hall.